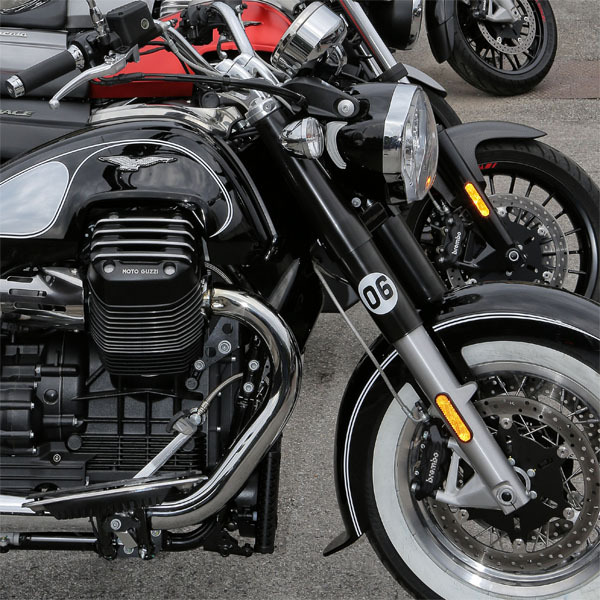 THE LEGENDARY CHARM OF MOTO GUZZI. 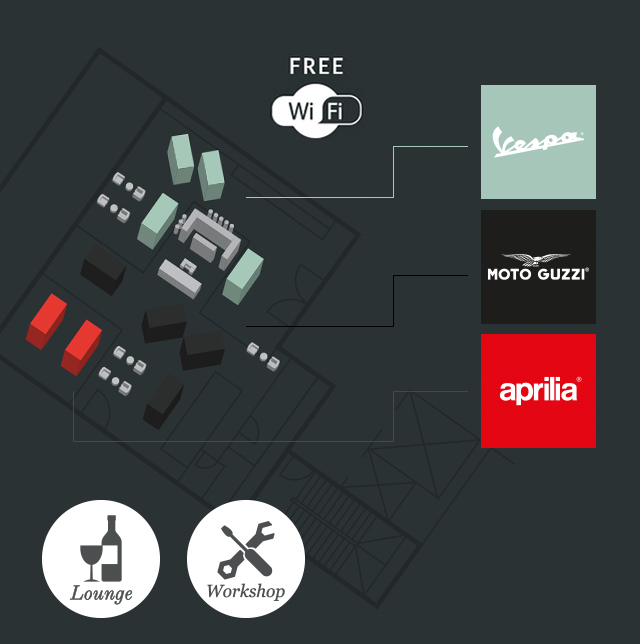 THE DISTINCTIVE STYLE OF VESPA, THE WORLD OF SPORT AND ADRENALINE BY APRILIA, THE LEGENDARY CHARM OF MOTO GUZZI. 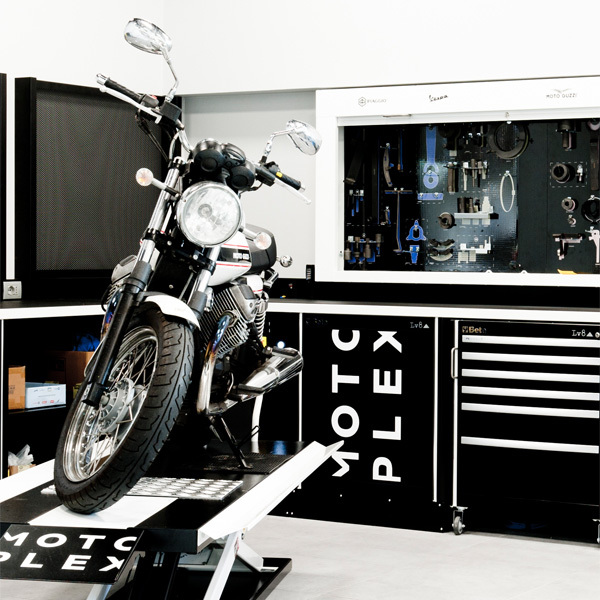 Discover the services that we offer in our Piaggio Prime Service center. In our Piaggio Prime Service center, you will find dedicated Piaggio support, expert advice on the best accessories and custom options according to your needs. 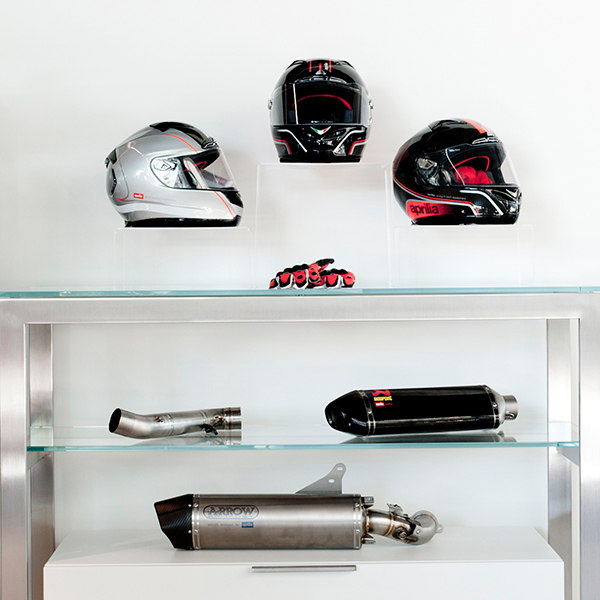 Our skilled technicians are ready to serve all of your two wheel needs. Fill out the form correctly! An error occurred while submitting the form! The driving licence must be valid in order to carry out a test ride. and appropriate clothing to the test ride. We suggest wearing clothing appropriate for the chosen vehicle to the test ride. other Piaggio Group companies, for the purposes of marketing, direct sales, market surveys and for statistical processing such as monitoring the degree of customer satisfaction in relation to the services and products offered by Piaggio and/or other Piaggio Group companies, as well as for communication to third parties (e.g. suppliers) if this is necessary to enable you to benefit from our services. Right to object - article 21 of the GDPR: The right to object, at any time, to the processing of personal data concerning you, based on to the legitimacy of the legitimate interest, including profiling, unless there are legitimate grounds for the Data Controller to continue processing that override the interests, rights and freedoms of the data subject; or for the establishment, exercise or defence of a right in legal proceedings. A cookie is a small file that the Website transfers to the User's browser, where they are stored to be retransmitted to the Website at the next visit by the same User. Profiling cookies are designed to create profiles about the Users and are used to send advertising messages in line with the preferences expressed by the User during browsing. These cookies are used to present the best content to the users according to their interests. These types of cookies can be used to display targeted advertisements or to limit the number of times an advertisement is shown. Given the considerable invasion of users' private lives that these devices can involve, Italian and European legislation requires the User to be properly informed on the use of these cookies and to grant valid consent. Profiling cookies require the prior free informed consent of the User, which the Site obtains in the forms specified in the Regulations, using the banner that appears on the first visit, as well as through the full notice allowing the user to grant or refuse the relative consent. If the cookies received from the User's terminal are installed directly by the manager of the website that the User is visiting, then they are first-party cookies. While browsing on the Website, the User may however receive cookies from different websites or web servers ("third-party cookies") that may include some elements (e.g. images, maps, sounds, specific links to pages on other domains) on the website that the User is visiting. These cookies are set by a website other than the one currently being visited. Click the 'wrench' icon in the upper right corner and select 'Settings'. Then select 'Under the hood' and change the settings in the 'Privacy' section. 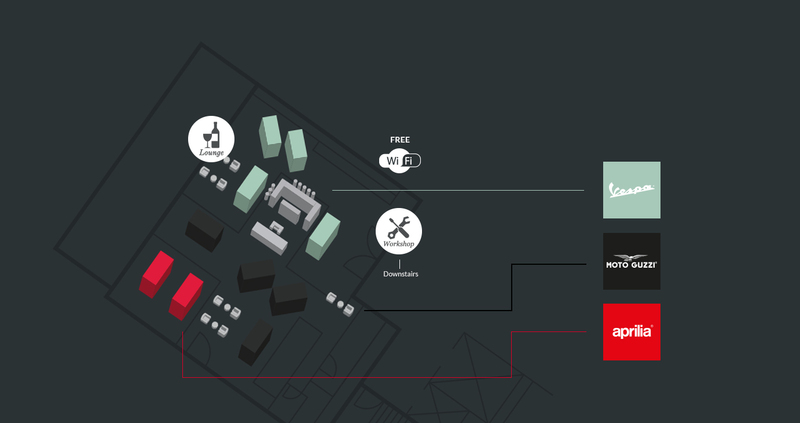 Test ride Garage Do you have any questions?